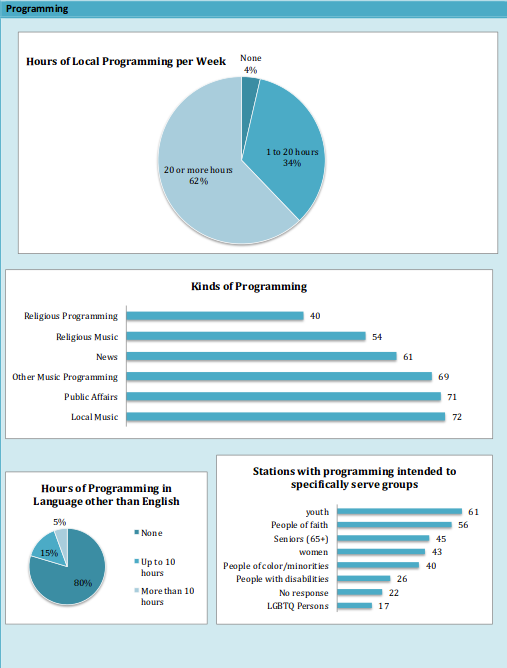 In 2011, Prometheus conducted an online survey of low-power FM stations. These stations had applied in the 2000-2001 window and had since gone on air. 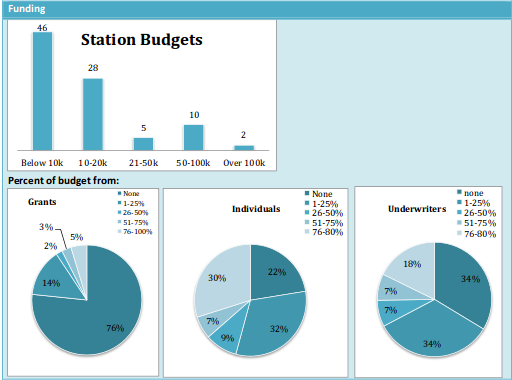 591 of 829 stations were able to be contacted via email or postcard. 144 (17%) stations replied. For more details on methodology check out this document. 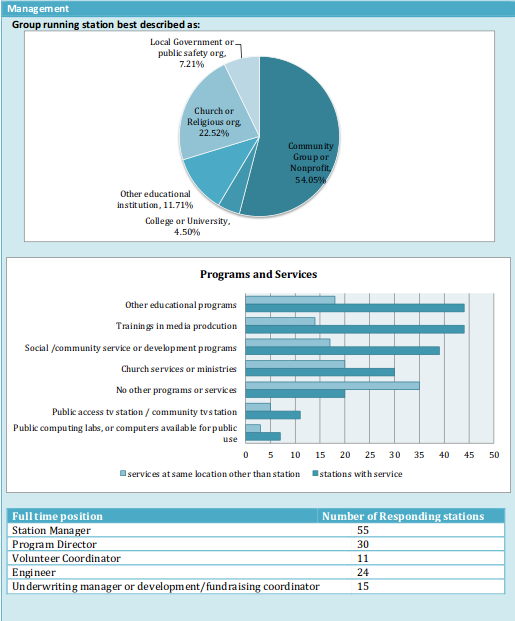 For information on select 2013 applicants check out Prometheus's feature on future stations. Also, stay tuned for a more extensive upcoming report on who applied in the 2013 window.